Could not find a specific thread on this. Besides axle, brake carrier, and slider blocks, what other things are needed? Ran across a deal I could not pass up and just picked one up. possibly a swingarm pivot and hugger. You never told us what swingarm you have now. You'll also want the correct pivot. 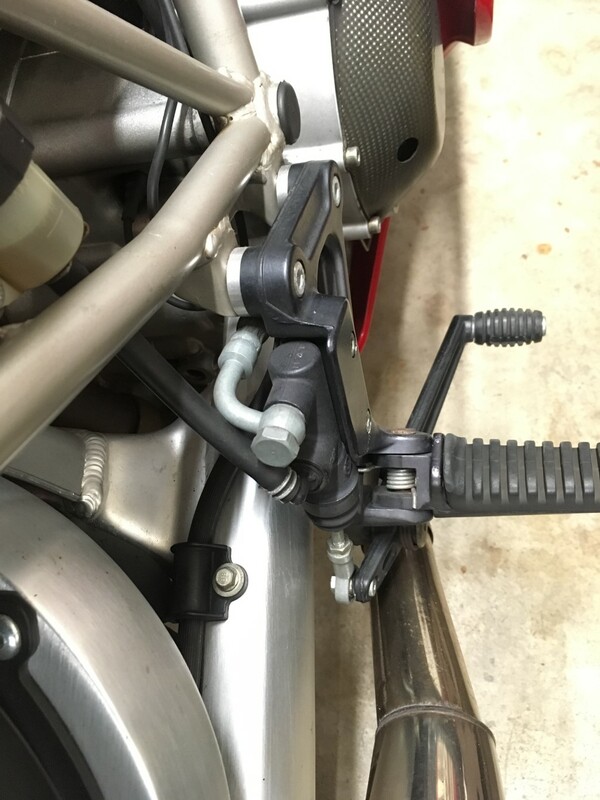 The fancy DS swingarm has a different clamping system than the older versions, I believe it requires the use of the pivot specific to it. IIRC there's been two or three updated part numbers, the newest of which is still available via Ducati. Thanks for info. I did a bit more searching and I'm nearly sure its from Ducati 900SSie '02 (as I also got a red Marchesini wheel in a box of parts I just picked up). Brake caliper hanger is below the swingarm. pysopper, I see you are in Beaverton. I'm often up in Hillsboro at Intel. 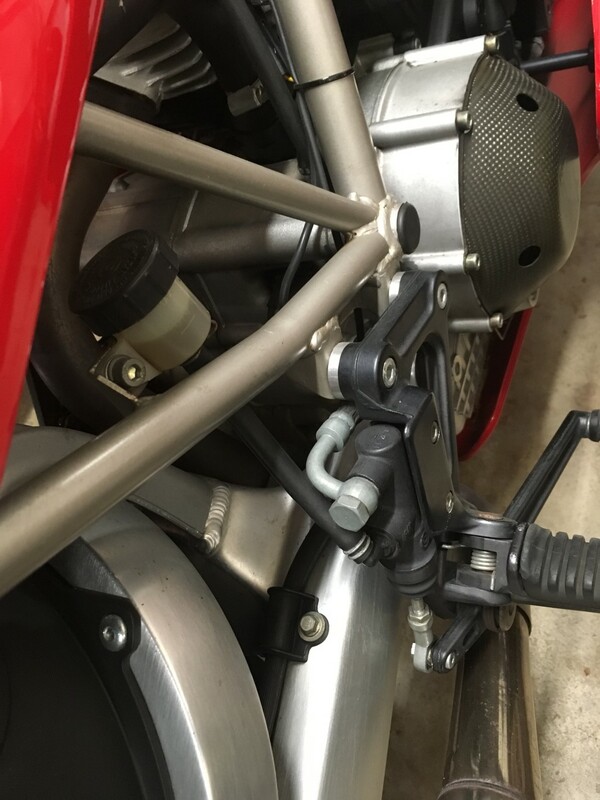 the swingarm pivot part number on the ducati parts system is the same for all ss 600 - 1000, non 1000 monsters, sport classic and gt and even a couple of years of st2/4/4s. 36911172A. not cheap. I am often there too, I work at Ronler Acres in D1D/D1X. Green badge. I'm an engineer for a company that makes metrology equipment. Used to go to RA1 and D1D but now just JF6. I installed this swingarm on my '95 SS. I had to space out the right-side rear-set by 5mm so that the brake linkage didn't scratch the swingarm. Thanks for further details and photos. That looks like the easy part.